Hello Friends! 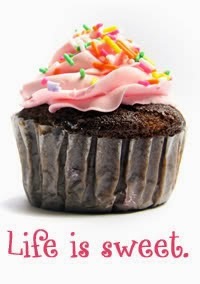 I know I've been absent from my little bloggie for a while now. I was working on a custom order and it was HUGE. I created a digital scrapbook memory album for 7 high schools that were celebrating their 60 year reunion. Wheeeeew! What a job that was, too. But, I have all of the major work completed, now I'm just waiting for the pictures to start rolling in. I had absolutely NO time to create fun things, because The Hubs was also on vacation for the last two weeks. Maaaaan! I tell you what, we were busy, busy, busy. I had envisioned long, lazy days of coloring and creating, but I got no where close to that! I did make a few business cards, though. And I wanted to share them with you. 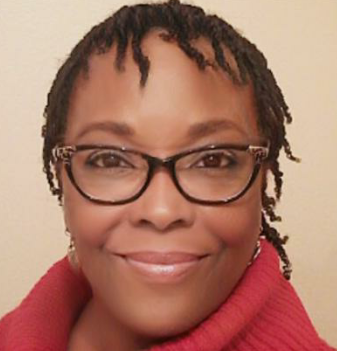 I have purchased business cards from various online resources in the past. It was easy and convenient. But, I was never completely satisfied with the design choices. Then one day, a while back, I saw a post where Sandy Allnock had created her own business cards, using card making supplies and I thought...BINGO! That is exactly what I will do when I get some time. 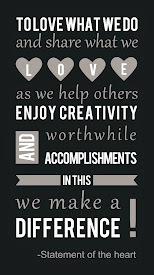 Soooo...during these frazzled busy weeks, I carved out small snippets of time and worked on my business cards. 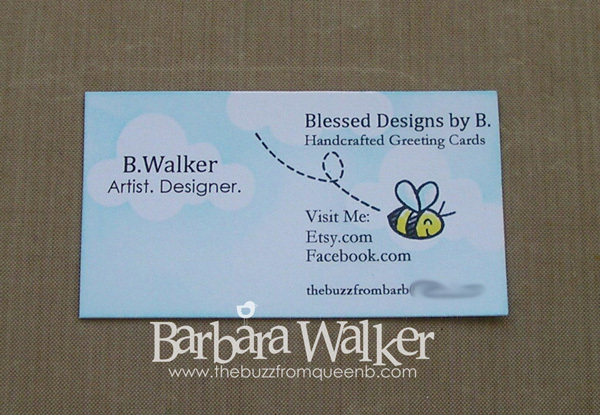 I really loved the idea of handcrafted business cards from one who sells handcrafted greeting cards...that made me smile. I knew I wanted something clean and simple; something that I could replicate easily, that wouldn't take up mountains of time and I wanted something with a bit of whimsy and I DEFINITELY wanted a bee on it. Note: I decided to blur part of my email address for this post, because I truly have enough garbage in my Inbox already. I used 110lb Neenah Solar White card stock, I created a template in Publisher and added the text. 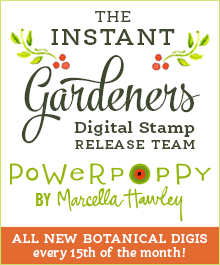 I printed out a few sheets of these and then trimmed them out with my paper trimmer. Really quick and really easy. The hardest part here was selecting a font. I wanted to go all out and use a fun font but, in the end, I decided that a more conservative font would be just fine...this time. *wink* I plan to make more using a more whimsical font, but for this first batch, I'm okay with what I've used here. On my original design sketch, I had a bee under my name. When I looked at the various bee stamps that I have, nothing fit in there quite right. This sweet bee from the Bee Mine stamp set from Lawn Fawn fit perfectly off to the side, so I went with that. And, of course the bee needed a flight trail. I desperately wanted to use the flight trail from the same stamp set because it's heart shaped and I thought it would be the perfect addition to my card. But, sadly it was not. Way too big. Perhaps I will be able to incorporate it into my next batch! I decided on a flight trail from a Waltzingmouse Stamp Company set, called Spring Baskets. 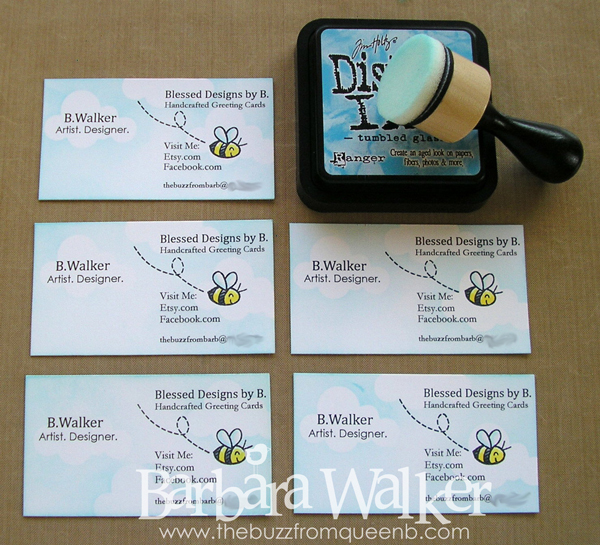 I stamped all of the cards, assembly line style, then I colored each bee with Copic markers. Next, I die cut cloud masks out of Eclipse masking tape, using the Cloud 1 die set from Papertrey Ink. I put the cloud masks in place and using a Mini Ink Blending Tool, I added a little Tumbled Glass Distress Ink to each card. Just a little, to give the illusion of sky. As a finishing touch, I went over the bees wings with a Clear Wink of Stella glitter brush to add my signature sparkle. I really like how these turned out. And that is all that I have to for today. Thank you so much for the visit! I love these, they are beautiful. May I ask how many you made and how long it took? Wow I'm impressed! I missed Sandy's post where she made hers. Congratulations on your custom order! They can get stressful when they're big and on a time line! 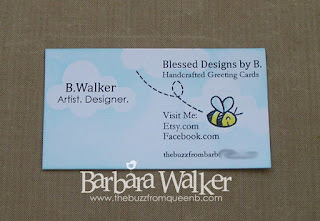 I love these little business cards and so glad you incorporated a litte Bee! Wow, Barb! 7 high schools?! Congratulations on that huge custom order. What a compliment on your skills, and what a huge amount of work, I'm sure! Hearty congratulations on that and good luck with the successful completion on that project. :) Your business cards look terrific. I like how you got the bee on there and you know I love your cloud making skills. I'm glad you had fun making these and am sure you will be able tweak them as needed/wanted in the future. Right now though, they look great! Good to see you, my friend! Have a wonderful week. Hugs! Oh, sweet Barb, you are amazing! I can't imagine all you do! What a blessing you are! And I LOVE your business card...that Sandy is one amazing and clever gal, isn't she? 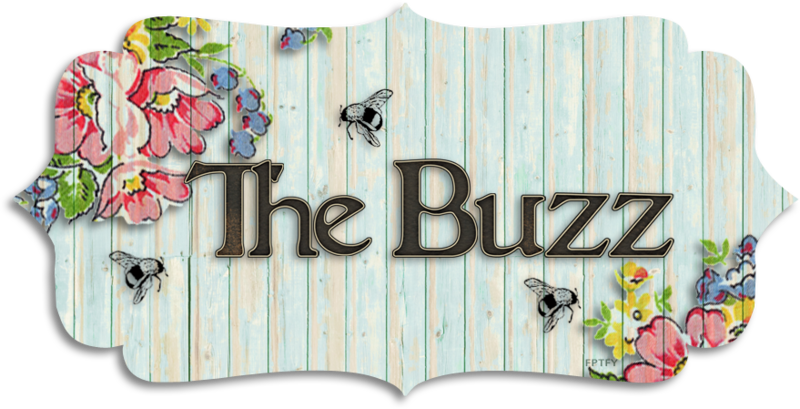 Your cards are just so sweet and "you" with that lil "bee" a buzzing 'round! Beautifully done, sweet friend! What a delight! Hugs!